A unique structure that has a part of it protruding. 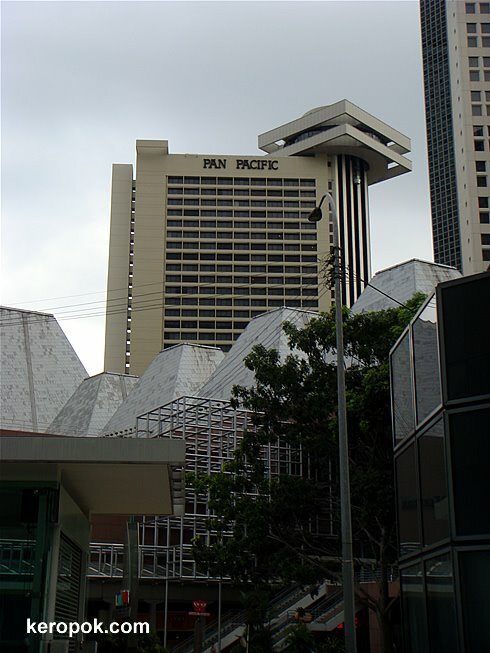 It's the Pan Pacific Hotel at Marina. If I am not mistaken, there's a famous Cantonese Restaurant there. Heard that it has got good views and good food!